I have a lot of respect for authors who can write historical fiction. It takes a tremendous amount of research to write in that genre. Ruth Chatlien has written a compelling story that won gold in the Readers’ Favorite International Award Contest. I am beyond happy she accepted my request for an interview. I’m a native of northern Illinois who has worked in educational publishing as both a writer and editor for 25 years. I’ve also published several short stories and poems in literary magazines. My husband is a writer too; in fact we met in a writers’ critique group. We were critics of each other’s work for three years before we ever starting dating. Having this vocation in common really helps us to support each other. I’m also a breast cancer survivor. I was diagnosed in December 2013 – the same month that my novel was published – which made for a real emotional roller coaster at the end of last year. Fortunately, we caught it at an early stage, and I finished treatment on March 21, 2014. The beginning of spring will always symbolize new life for me in an extra way from now on. In addition to writing, I’m passionate about gardening, knitting, art, football, and my dog Smokey. It’s a lifelong process. I majored in literature in college and took several writing courses. After I graduated, I kept writing on my own, and I joined the writers’ group I mentioned earlier to get feedback on my work. I don’t believe there is a point where you can ever say, “I’ve made it. Now I’m really a writer.” As soon as you start putting words to paper, you’re a writer, but then you have to work at getting better your whole life. As an adult, I’ve written four novels and one young adult book of biographies. Two books have been published: the young adult book, Modern American Indian Leaders, and the most recent novel, The Ambitious Madame Bonaparte,which is based on the true story of the American beauty who married Napoleon’s youngest brother, only to have the emperor become an implacable enemy. Going for walks definitely helps me. We live about a block away from an old cemetery that has marvelous avenues of trees. I put the dog on a leash and go there when I have to think things out. I also play out scenes in my head as I’m weeding my garden. Having a physical activity to focus on seems to help clear out the cobwebs. And of course, I talk things over with my husband. Usually, when we have to drive somewhere more than an hour from our house, you’ll find us talking about our work. I’m writing another historical novel with the working title of Captive Summer. It’s based on the true story of a white woman taken captive in one of the most brutal Indian wars in U.S. history. Where can readers find more information about you and your books? The Ambitious Madame Bonaparte is available from Amazon and most other online retailers. Thank you Nicole for inviting me to your blogging world. I have much to say about the treatment of others, and I’m very happy to be here today to share my knowledge of abuse with those who may need help. Hopefully the excerpts from A Voice in the Night will shed some light on the content of these pages and move those in need to use: A Voice in the Night: Silent Abuse, The Early Warning Signs That Could Save Your Life, as a guide to finding their safe ground to dwell upon. After reading A Voice in the Night, one will hopefully find and realize their value to society, and rights as a human being. 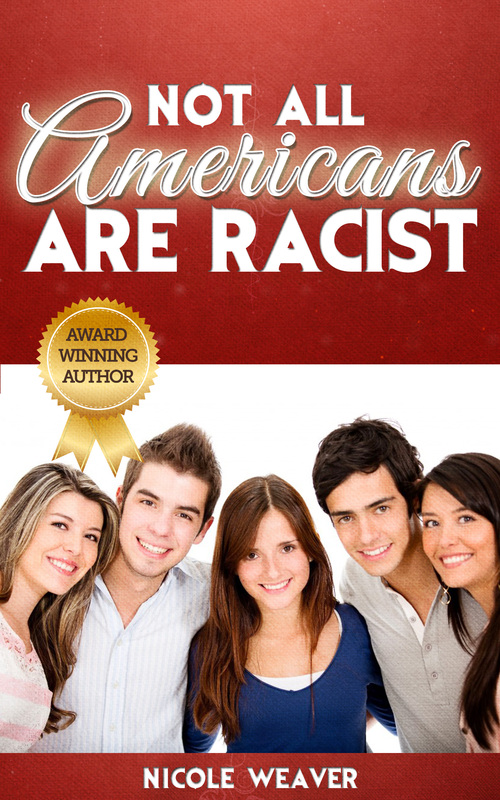 It is meant for all who read this book to obtain the ability to demand respect and have learned to accept nothing but. Knowing your worth, taking what you deserve, and learning to love yourself will be the tools you use to experience a new and abuse free life. These essays are intended to build awareness of the beauty and brilliance that exists in all of us and to show that no one has the right to try and strip us of that. This isn’t so much a book about how to find happiness. Rather, it’s simply about recognizing you are entitled to happiness and about shedding relationships with people who would deny that entitlement. Abuse is complex and rarely recognized as abuse by those who deem it “none of their business.” Like it or not, we are our brother’s keepers, and when another is in need, we could all do more to be there to do what we can. At one time or another in our lives we will all need some help from someone other than ourselves. Abuse is not only the act of inflicting forceful blows to the body. Abuse is about the suffering degradation, belittling, humiliation and lack of concern for another living being. Put your feelings first and foremost in your mind before you consider giving anything to a mate. This is a good practice to help you see if you are in fact receiving your entitled respect. You need to be in tune with your emotions and know you deserve at least as much as you give. Your abusers can make you feel as though you are imagining these vague abusive things. When you reach a point of not being sure of your own feelings, then you have abuse that is teetering on silence and could become a permanent acceptance on your part. Your feelings will be the red flag that alerts you to someone treating you incorrectly. We live in our heads thinking maybe we are just so sensitive we can’t cope with what we should. Know what you feel, and know that if you are coping with the situation, you are laboring in this relationship. Abusers put a lot of effort into distorting the truth and making us feel guilty or making us feel we are imagining things. If you feel you are being taken for granted, then you probably are being taken for granted. If you feel a little disrespected, then you probably are being disrespected. Trust in you. When is it OK to Swallow What Makes You Unhappy? How many times do you feel you are holding all the weight, because your mate is pretending to have more to do than he/she is honestly supporting? When one mate is expecting the other to carry the load, that mate simply expects their mule to get the job done for them. Relationships that lean heavily on one person to keep them together usually suffer in a number of ways. Happiness is definitely out the window simply because there is not enough sharing, and respect is missing from the relationship. No respect = no real love. These personalities impose authority over just about everything. It has to be the way they think; it should be according to them. These are mates who will reduce you to feeling insignificant and worth very little as they will in their minds, always do everything better than you. These are criticizing petty people who will most likely ruin your life if you succumb to their controlling craziness. They will complain about the refrigerator not being organized right, to the hair you left in the bathroom sink. They will build in their minds that you are ruining their life because you haven’t dried a dish and put it away. They are abusive and can bring you down emotionally. Walk away from these personalities. They are toxic. Some teenagers are just accepting to the possessive behavior because they are attracted to the boyfriend or girlfriend and want to be included with their peers with having someone they can call theirs. Teenagers can learn to accept abuse if it is not pointed out to them. They can start down a road they have never been on before allowing their new mates to control them and question their every action and relationship with others. They don’t seem to give it thought that even their parents don’t control them this much. You may think, “Maybe my life isn’t so bad.” Maybe you have all the material things you want. Maybe you are willing to trade your respect for the comfort of material things or the presence of a mate. All of this would be your choice of course, and who would even know or care for that matter? The concern for yourself should be far reaching the material comforts you are enjoying now. Mates who want a beautiful woman, an arm-candy man, a mate that is there to do everything for them whatever the reason for the parent /child relationship, it will most likely end if you reach an impasse where you cannot provide what the parent part of the relationship is demanding years down the road. One of the worst tolerances I have read and studied about would be the forced marriages of the many religions that span over 50 or more countries today. Many of these religions practice this abusive behavior against women. I want the world to know what I have read, and what these women suffer. If a woman in one of these families refuses to marry the person she is promised to at birth, she shames her family. Her family then feels justified in killing her for that. At best they beat her up, and abuse her, then shun her, cut her off from family, and isolate her from all that she has known her entire life. It is quite devastating for these women /girls. It’s devastating to these girls for their mothers to tell them they must do whatever their husbands say, and if they are being beaten, they should be better wives, try harder to please and maybe he won’t beat them as much. Wow! What a Mom. I don’t understand how a mother can tell her child she is dead to her if she doesn’t submit to a life of horror with some abusive monster she promised her to 15 years before. Then there is the horrible “female circumcision” of many cultures that is administered and continued by women! The suffering of these children is unspeakable, and inhumane, better to never bring a child into such a culture. Believe in yourself. You are right when you think, I can’t bear this life of loneliness and abuse. We all deserve freedom. No one is happy without freedom. No one ever! If your mother wants to speak of shame on your family, she may want to think about the shame she has brought on her own soul when she has deserted her child. Know you are right in your feelings of wanting to escape, and remove yourself from such abusive people. The world is not perfect, but it has better than that to offer you. My message to you is: Wake up! Wake up! Wake up! All who are being physically abused, you have the power within yourself to end it. It will NEVER get better if you are being abused physically. You must get out, and you must take responsibility for yourself. Getting help starts with you first. Stop making excuses why he/she hurts you. There are no excuses for hurting you; none that you can utter or justify anyone hurting you, unless you are physically hurting them to begin with. Then that would be a toxic situation that you need help for, and the both of you would need to part immediately. There are those who would not agree with fighting back as that would be just more violence in return, but in my opinion, some of these abusers understand nothing else. In spite of how I feel about giving them what they deserve, getting out is your best bet and your safest option. If your mate is permitted to rule you in the beginning, they will take baby steps to eventually own your every move. Following like a puppy dog you enable your mate to have all the say, all the control. They will eventually manipulate you into a position where you may not even have your necessities any more, let alone something you wish for. Then there may be the suicide threats—the I can’t live without you crap. If I leave him and he kills himself, how will I forgive myself crap. It’s crap not because I am insensitive to your feelings about his threats, but because it’s a way for him/her to manipulate you into doing what they want. They know if they blame you, you will most likely feel guilty and again be controlled once more to do what they want. It’s not your responsibility to keep this person from committing suicide because they are too selfish to recognize they can’t have everything they want. Suppose we all went around threatening to commit suicide if others didn’t give us want we wanted? Would the world care about our selfish demands? I don’t think so. If we wish to be successful, we must think successfully. Picture what you dream, and picture it as if you were actually retrieving it. If you can dream it, you can have it. Step forward to grab it. It’s in your reach if you make the effort. If we thrust forward to conquer our fears then we will not be afraid. If we know and believe we are strong, we will be strong both in our own minds and the minds of others observing us. If we let go of the horrors that have happened to us, we will be free of those horrors. If we take up our given ability to thwart the negative then we will possess positivity. If we have a positive personage, we shall reflect our happiness from within. Realize that you have made the right decision. Allow yourself to cry. You have the right to cry and mourn what you have lost, but also remember what you have gained. I hope these excerpts from each chapter will have shed some light on the content of this guide to having a better life. You are a person who is quite capable of making a new life for yourself. Believe in you. If you do, you will be strong. You have gifts that no one else possesses. You are a human being meant to do kind and wonderful acts towards the world. What you have suffered will now become your tools to improve the life of others. God Bless all who read these pages and prosper from their message. Her passion for the subject of abuse runs deep, and reflects in her sometimes overpowering expressions of what she would like to change in life for you. She wishes for all to come to her website, feel welcome, and hopes that all will find some refuge and enlightenment there. Erin Ireland is a nom de plume, in order to protect the innocent. She will always speak her mind and the truth for the betterment of all those who seek answers and comfort. She has written a book Titled, A Voice in the Night: Silent Abuse, The Early Warning Signs That Could Save Your Life. This is a book to help others bypass the long suffering that can be eliminated if they can learn to view the traits of an abuser early on. She is writing for others to see the light. Erin hopes for them be a lamp unto themselves. She wishes for them to find there safe ground to stand on, before they have spent their entire lives wondering: what it is that they have done to deserve such demeaning treatment? Abuse is a conditioning that can be unlearned. Every human being is entitled to an abuse free life.